Won the competition design for the Integrated Industrial Hub at Fatapukur, Jalpaiguri, a competition held by WBIIDC on behalf of Shristi group. OWER MAX (INDIA) PVT. 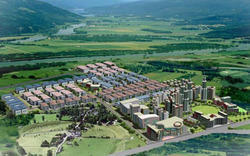 LTD. provides infrastructure development services starting from Development of Land, Construction of Boundary Wall. 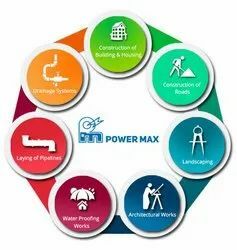 Construction of Roads, Drainage System, Piling, Deep Foundations, Construction of Power House and Utility Buildings, Construction of Office Building etc. We have an energetic team of expert consultants with an enormous experience of recruitment for construction industry. They employ their expertise and proficiency to provide most excellent solutions. WECONNEKT is one of the leading Infrastructure Development Company in Kolkata, we specialize for both Residential & Commercial clients and assist in customize requirements, we design the layout of your residence or office and then with the help of our experts we finalize the assignment. Concast is rapidly emerging as one of the leading Indian infrastructure enterprises, with a diversified portfolio of infrastructure assets spread across various sectors; as a global brand with complete leading advisory firms. Our technical and operational services extend across the mining development phase. HDR | Salva’s capabilities in rail, port and power are critical inputs to successful mine and infrastructure development. Currently associated for providing infrastructural development consultancy service of an international city in West Howrah projects.